Another year is in the books. But before we totally put 2018 in the rearview mirror, now is a great time to review some of the best forklifts from last year. These forklifts may not necessarily be from the 2018 model year, but they’re considered the pinnacle of forklift design, safety, convenience, and value. So what exactly goes into the “best” forklifts? Plenty of factors, not least of which is safety. According to the U.S Occupational Safety & Health Administration (OSHA), accidents involving powered industrial trucks (just a fancy term for forklifts) once again ranked in the top 10 most common safety incidents. Since thousands of accidents happen every year, forklift manufacturers continue to evolve equipment design to account for the unthinkable. Despite the best safety design upgrades and forklift safety features, there is one thing above all that helps prevent accidents and injuries on the job: a properly trained, OSHA compliant lift operator. At ForkliftCertification.com, our training modules help anyone learn about basic safety concepts, OSHA rules and regulations, proper operating techniques, and much more. Remember, training is provided by the employer. If your company needs to get up to speed with OSHA compliance, or you need to eliminate training gaps with your safety program, contact ForkliftCertification.com today. With three different training courses, affordable prices, and flexible anytime access, we’re making forklift certification and compliance easier and more convenient than ever before! OK, back to the best forklifts of 2018…let’s take a look and see which models earned well-deserved praise this past year. One of the most highly praised forklifts from 2018 is the Jungheinrich ECE 225, which is revolutionary in every way for warehouse workers, specifically order pickers. With an advanced sensor and remote control system called easyPILOT, the Jungheinrich ECE 225 solves an age-old problem for order pickers: how to safety retrieve product from warehouse shelves without constantly leaving the vehicle. Thanks to an innovative and safe setup, the ECE 225 automatically follows the operator at a reasonable speed – not too slow to hinder productivity, and not too fast to jeopardize safety. A list of the best 2018 forklifts isn’t complete without the Wegard Trail, a new powered industrial truck designed and built in Germany. Made by Wegard GmbH, this forklift has an advanced axle design, with electronic steering and precise, pinpoint control. And here’s another benefit: the Wegard Trail is ultra-maneuverable, with the ability to lateral park and reverse effortlessly. What’s more, the truck’s modular design makes it compatible with other vehicles and accessories without complex modifications. Staying with the German forklift theme for a minute, the RX 20 from Still GmbH won the International Forklift of the Year (IFOY) award, which is sponsored by the German Federal Ministry of Economics and Energy. Versatility (indoor and outdoor capable) and durability are two primary reasons for the RX 20’s popularity. Plus, this forklift accommodates both circuit A or B batteries, along with both lead-acid and lithium-ion batteries. For all-around performance and forward-thinking design, particularly from a power source perspective, the RX 20 is well deserving of the IFOY recognition. Look for the RX 20 to become a go-to model for American companies in short order. Komatsu’s 36V and 48V forklifts had a great 2018, as electric forklift continued to make inroads with distribution companies, retailers, civil authorities, and other entities with typical gas-powered forklift fleets. With exceptional agility, impressive strength to weight ratios, and strong reliability ratings, Komatsu’s electric forklifts, spearheaded by their 36V and 48V models, promise even better things for 2019…so stay tuned! Clark Material Handling is one of the true bluebloods of the forklift industry, and their GEX series forklifts continued to impress in 2018. With enhanced safety features, premium cabin comfort, and industry-leading performance attributes, the GEX is easily one of the most popular – and widely used – forklifts of 2018. And like the Komatsu, continued improvement and design enhancements will have forklift buyers expecting an even better 2019. The Best Forklifts and the Best Training: A Winning Combination for Safety on the Job! 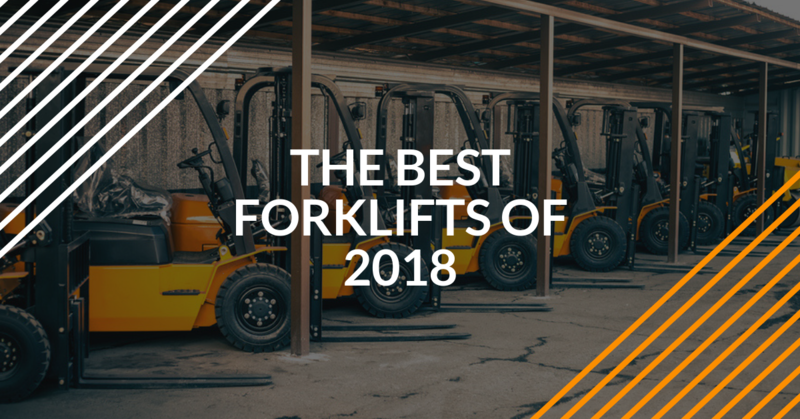 What do all the top forklift models of 2018 have in common? They all require proper training and compliance to operate. If your company willingly hires an untrained forklift driver, OSHA could impose fines exceeding $100,000, for the most serious offenses. Don’t delay any more with your company’s forklift compliance – you can’t afford it! ForkliftCertification.com takes care of your entire training requirements, from initial class to final evaluation training and even renewal training! Sign up today and go with the best OSHA safety training and compliance for every year: ForkliftCertification.com. Thanks for reading our blog! Which forklifts from 2018 impressed you or your co-workers? Let us know on our contact page, or give us a call at (888) 278-8896. Get in touch – we’ll get your safety program compliant with minimal cost, and maximum customer satisfaction!